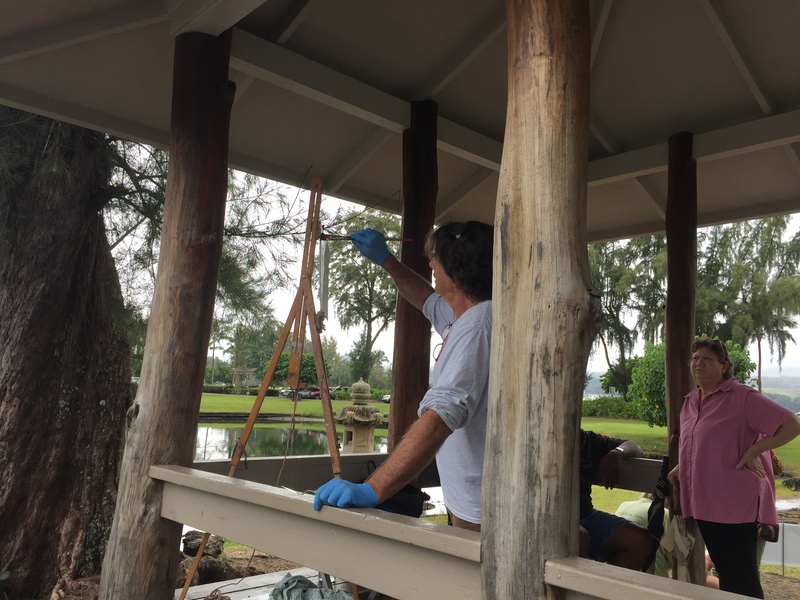 The first in a series of centennial events to celebrate Lili`uokalani Gardens was held Saturday, January 14, from noon to 6 p.m. Events were scheduled throughout the afternoon at various locations on Banyan Drive (Makaoku) in Hilo. Although the day dawned with rain, by noon the skies cleared and perfect weather for strolling the area was afforded to hundreds of residents and visitors. 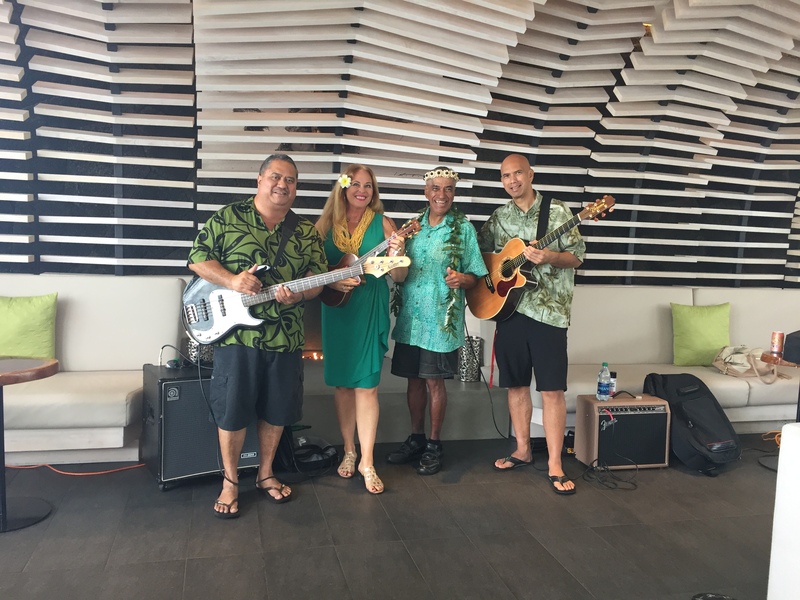 Kicking off the day was the Christy Lassiter Trio at the Grand Naniloa while nearby, en plein air artists gathered in Lili`uokalani Gardens to demonstrate their talents and speak to people pausing to watch. 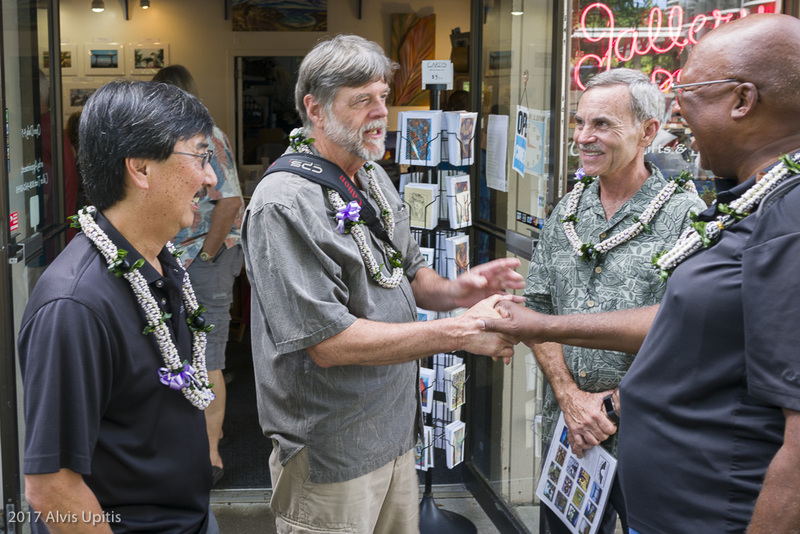 At 2 p.m. presentation of the grand prize of a helicopter ride over an active lava flow was made in the photo calendar contest at Banyan Gallery. 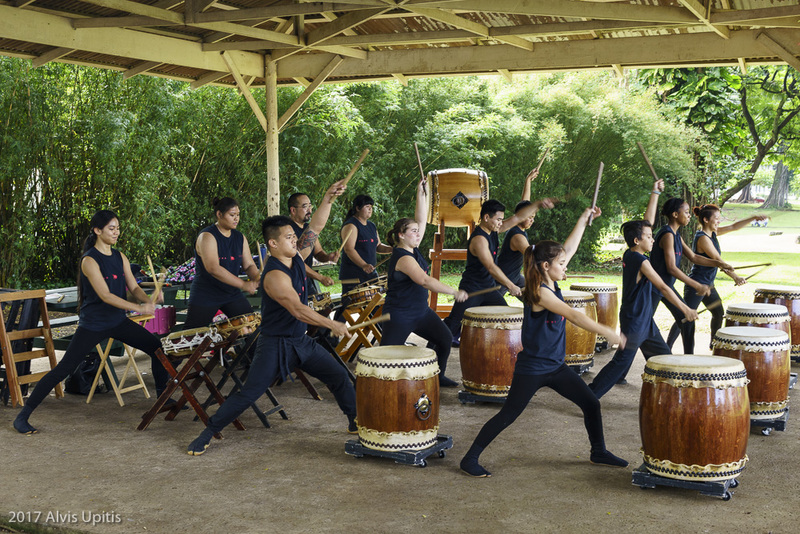 Nearby, Puna Taiko set up in the old sumo ring adjacent to Shoroan, an Urasenke tea house in Lili`uokalani Gardens. At 3 p.m., Brandon Tengan demonstrated gyotaku (fish printing) to a crowd of more than 70 at Suisan Fish Market. 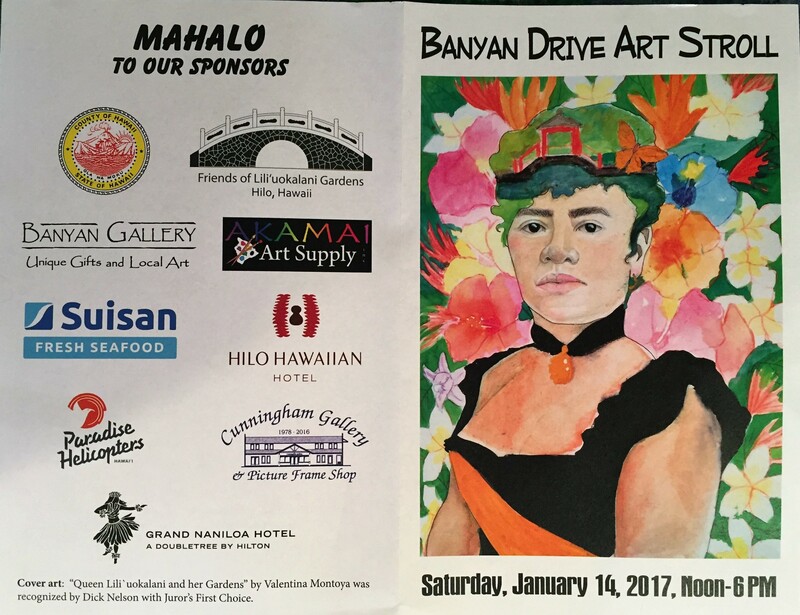 Throughout the day, exhibits were open at Banyan Gallery, Hilo Hawaiian Wai`oli Lounge, and the Palm Room of the Grand Naniloa, a DoubleTree Hotel by Hilton. A crowd of 100 gathered at the old sumo ring for Puna Taiko’s first performance. 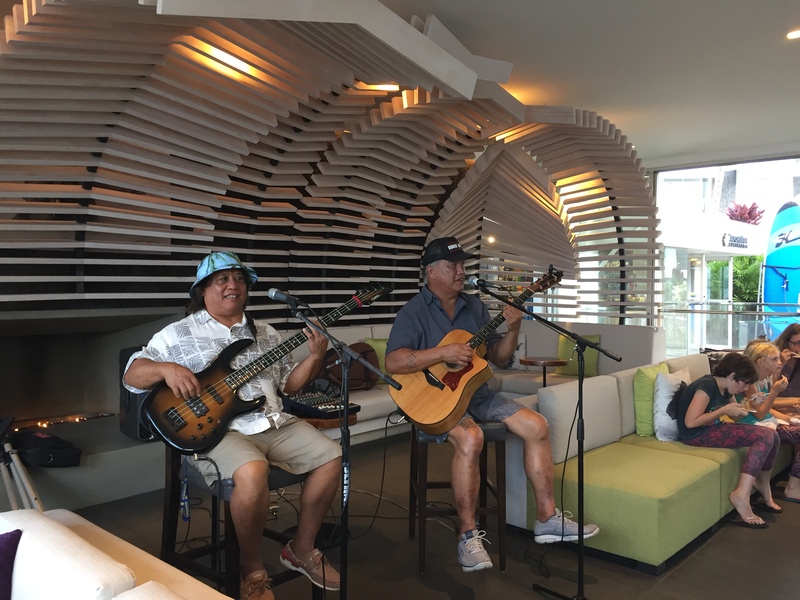 A different crowd, slightly larger, gathered for their second performance at Banyan Gallery. Every dining venue was filled all day long. Nearly 430 people were counted going through the exhibit at the Naniloa to cast People’s Choice ballots. 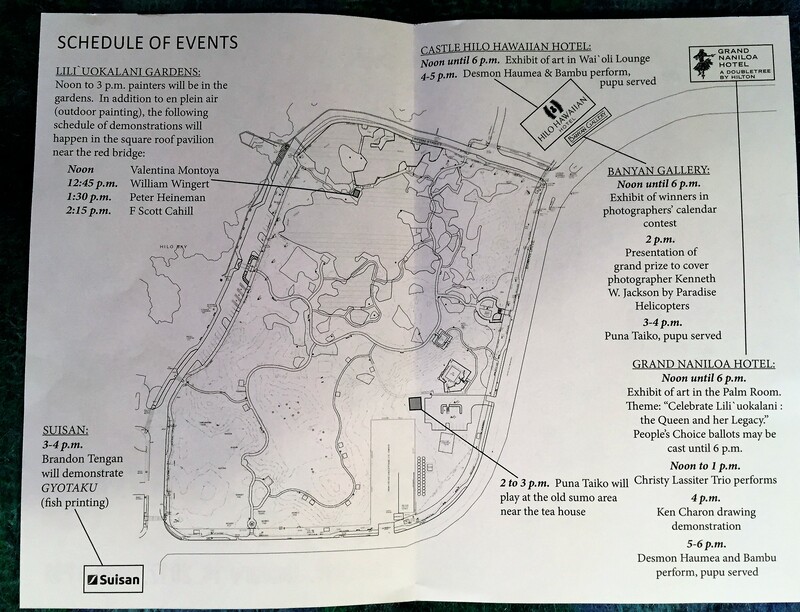 Residents and visitors strolled from one location to the next holding their map/schedules.